December’s edition of Public Sector Building magazine includes a feature about Wrekin Windows supplying and fitting energy efficient PVC-u windows and French doors for 346 homes on the major redevelopment of the MOD Beacon Barracks in Stafford. 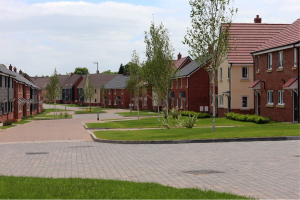 This major, time-critical project to provide new homes for troops returning from German was managed very effectively by Lovell Partnerships Limited and was a shining example of collaborative working. The site had to be finished completely by Autumn 2015, with a phased approach, and each phase had to be finished to the right quality by a fixed date to facilitate the ultimate closure of Rhine Garrison in early 2016. 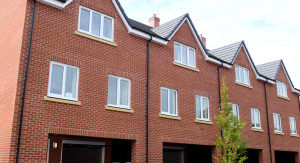 The dates were not movable, so this was a major logistical exercise that Lovell managed successfully and one in which Wrekin Windows was pleased to play a part in, helping deliver each phase of the project on time. The site was completely derelict and once full planning permission was obtained in May 2014, the site had to be prepared for building to commence later that year. 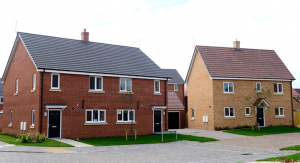 The first homes were occupied on schedule in May 2015 and the final homes handed over at the end of September 2015. The houses have been built to be ‘Lifetime Homes’ compliant, have achieved ‘Code for Sustainable Homes Level 4’ and have been awarded ‘Secure by Design’ status. The secret of the success in finishing a major development – designing, building and delivering 346 Service family homes to an unprecedented and demanding programme, on time has been in the project planning and collaborative working with the MOD Defence Infrastructure Organisation (DIO) and a team of contractors and suppliers to meet the DIO’s key objectives. Wrekin was able to add value and expertise to the project by delivering high quality products on time, to meet the challenging deadlines. As around a quarter of the heat lost from a home occurs through the windows, fitting energy-efficient windows makes a real difference to the comfort of a home as well as reducing running costs. 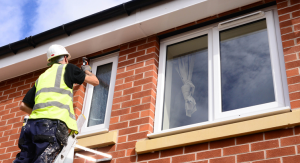 Wrekin has substantial experience of collaborative working gained through major social housing projects, and also has a reputation for delivering high quality, low maintenance, energy-efficient PVC-u windows and doors. To read the full story, check it out in December’s edition of Public Sector Building magazine or read the case study on this website here.